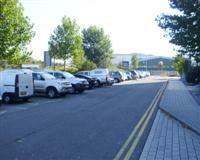 The dimensions of the designated parking bay(s) are 345cm x 400cm (11ft 4in x 13ft 1in). The nearest designated bay is 13m (14yd) from the main entrance. 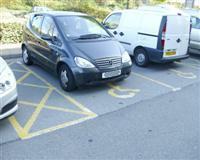 The furthest designated bay is 26m (28yd) from the main entrance. 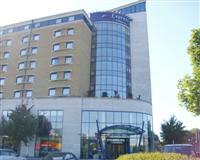 This venue is situated in Greenwich. The nearest underground station is North Greenwich. 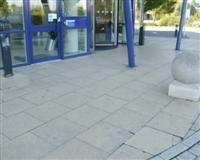 The ramp or slope is located in front of the doors. 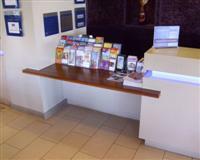 The desk/counter is 8m (8yd 2ft) from the main lift. 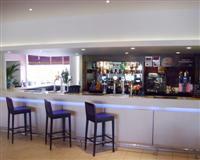 Music is played in the reception and bar. You are on Other Floors (Stairs to Reception). Skip to the next section. 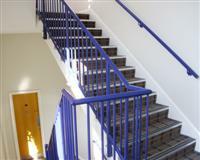 You are on Other Floors (Main Stairwell). Skip to the next section. 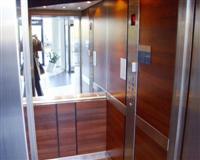 The lift is located in the lobby just opposite the main doors. The nearest table is 11m (12yd 1in) from the main lift. 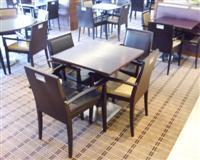 The type of food served here is hotel food including breakfast. There are 162 rooms in total. There are 152 standard rooms on other floors. 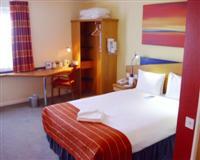 There is / are 10 room(s) which has / have accessible ensuite facilities. 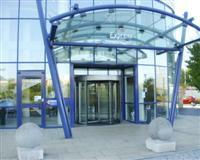 There is / are 5 adjoining room(s) available for carers. 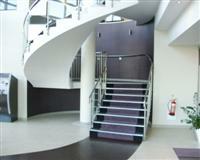 The accessible room viewed is 10m (32ft 10in) from the main lift. The room number or room name viewed was 203. The height of the bed is 54cm (1ft 9in). The measurement between the bed base and floor is 12cm (0ft 5in). It is not a push button style alarm. Assistance dogs are welcomed to stay with guests in accessible rooms. The width of the door to the ensuite is 77cm (2ft 6in) (2ft 6in). 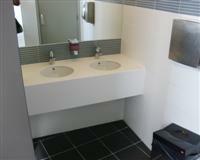 The dimensions of the accessible ensuite are 176cm x 213cm (5ft 9in x 6ft 12in). As you face the toilet, the wall mounted grab rails are on both sides. The toilet seat is 43cm (1ft 5in) above floor level. The height of the sink is 84cm (2ft 9in). There is not a functional emergency alarm in the ensuite. It is out of reach(higher than 10cm (0ft 4in) from floor). The shower head is adjustable. The flip down or fixed seat height is 44cm (1ft 5in). The colour contrast between the walls and floor in the ensuite is poor. 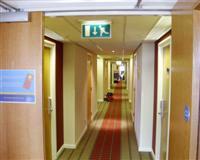 Some hotel rooms have auxiliary aids for people with sensory impairments. The available auxiliary aid(s) is(are) flashing alarms, vibrating pillows and Teletext/subtitles/Ceefax. 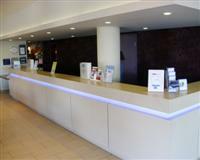 The hotel does not provide any other auxiliary aids for people with mobility impairments. 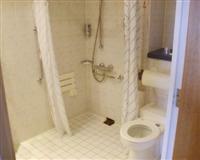 The number of accessible rooms with wheel in showers is 10. 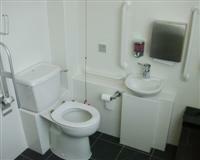 The accessible toilet is 14m (15yd 11in) from the main lift. 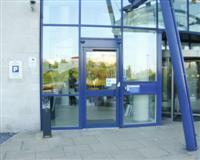 The accessible toilet is located on the right when going from the lift to the desk. 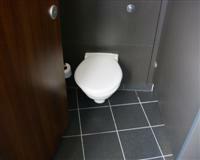 The dimensions of the accessible toilet are 207cm x 175cm (6ft 9in x 5ft 9in). The height of the baby change table once extended is 101cm (3ft 3in). 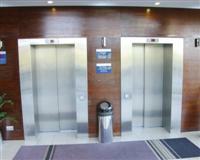 The female and male toilets are located on the right when going from the lift to the desk. The female and male toilets are 13m (14yd) from the main lift. The photographs show the male standard toilets.